Sen. Jon Tester (D., Mont. ), who serves on the Senate Banking Committee, has received tens of thousands of dollars from the financial institution where one of his top former advisers currently serves as the chief lobbyist. Jason Rosenberg, who served as Tester's senior economic policy advisor from 2007 to 2010, was promoted in December 2017 to be the head of JPMorgan Chase’s Washington, D.C. government relations office. In his current role, he lobbies Congress on economic issues that relate to the bank's business interests. While working for Tester, he oversaw issues pertaining to tax, trade, banking, and commerce, and was instrumental "on issues including financial regulatory reform, the Housing and Economic Recovery Act of 2008, the Emergency Economic Stabilization Act of 2008, and oversight of Troubled Asset Relief Program (TARP)." Rosenberg left Tester's office to be the senior vice president of the Glover Park Group's government affairs practice, where he worked between January 2010 and October 2012. There, he lobbied on behalf of Visa Inc., American Bankers Association, JPMorgan Chase, and other firms that have close ties to Tester. During the 2012 election cycle, Tester received $6,000 from Visa Inc., $11,300 from American Bankers Association, $16,550 from Ernst & Young, $3,400 from Federal Home Loan Bank, and $54,500 from JPMorgan Chase. Over the course of Tester's career, he has received almost $94,000 in individual and PAC contributions from JPMorgan Chase, the largest bank in the United States. In addition to campaign contributions, Tester's 2017 personal financial disclosure form shows he has a mortgage valued between $250,001 and $500,000 from JPMorgan Chase for his $1 million Washington, D.C. home near Capitol Hill. He purchased the home in 2013. 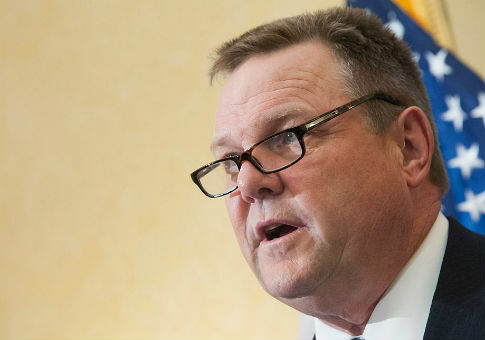 Tester has been scrutinized over the years for his close ties to lobbyists and financial institutions because of the nature of his role on the Senate Banking Committee and the potential conflicts of interest. The Associated Press published a fact check last month in response to a National Republican Senatorial Committee television ad; the AP determined the ad was correct to say Tester "was No. 1 in cash from lobbyists in 2018" for a time. "The Republican group got it right — Tester was the top recipient in Congress of money from lobbyists for a time, according to campaign contribution data compiled by the nonpartisan Center for Responsive Politics," the AP reported. He was also the top recipient of lobbyists’ money during the 2012 cycle, taking in $502,031, ahead of former House Speaker John Boehner (R., Ohio), who was second with $423,750. This entry was posted in Politics and tagged Jon Tester, Montana. Bookmark the permalink.